How Did This Commercial Fisherman Sustain Burn Injuries at Sea? Home » How Did This Commercial Fisherman Sustain Burn Injuries at Sea? A commercial fishing crew accidentally pulled up live, unexploded artillery while clamming, which caused the destruction of 700 cases of chowder and one fishermen to sustain second-degree burns. While the authorities were unable to determine what the ordnance was, the fisherman’s burns were consistent with mustard agent exposure. Mustard gas can cause skin blisters, blindness, lung damage and even death. However, it is not uncommon for commercial fishing vessels to dredge up munitions along the Atlantic, given that old environmental laws used to permit dumping hazardous munitions into the sea. If your vessel comes across unexploded ordnance, you should avoid it and notify the U.S. Coast Guard immediately. 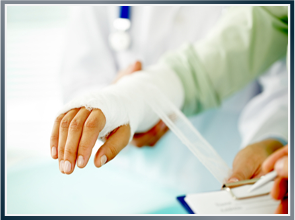 Unfortunately, burn injuries come with expensive medical costs, extreme pain and possible emotional trauma. More often than not, burn victims require painful skin grafts and multiple reconstruction surgeries that put them at a high risk for infections. As maritime attorney David Anderson explains, employers are responsible for providing a safe working environment for maritime workers. When that is not the case and a seaman is injured, it is important to consult with a maritime attorney, who can protect your rights. Latti & Anderson LLP is a maritime injury law firm that has been helping those hurt at sea for 50 years. Previous What Has the NTSB Learned from This Year’s Maritime Accidents? Next Is This Shipping Port Putting Dock Workers at Risk?